We have 3 boys that have all been treated at Easton Orthodontics. First of all, I must say that Dr. Loftus was honest with me when I took my son to be evaluated. He actually told me that he did NOT NEED BRACES! My son was self-conscious about his teeth and wanted them to be "perfect.” Dr. Loftus did just that. He made them perfect! The "team" at the office was always on time, they were friendly and personable and made sure we knew what was going on with treatment. Scheduling was flexible and easy! I can't say enough about this practice. We are so pleased with the treatment and the results. THANK YOU to a wonderful staff for making our experience wonderful! I highly recommend this practice! I could not have asked for a better experience for an orthodontist. I never thought my smile could possibly look even half as good as it does now! The ladies are all so welcoming and Dr. Loftus does an amazing job. I'm going to miss going here monthly, but am so grateful for my beautiful new smile! I cannot say enough great things about this wonderful group of people. They're very caring, compassionate and genuinely care about their patients and their outcomes. From the moment you walk in the door to the moment you leave, they make you feel like you're a priority. Both of my daughters received excellent care! If you need a last-minute emergency appointment, they will do everything they can to accommodate you and your schedule. I'm one of those people that is always a little early and we never wait but a few minutes for her appointment. 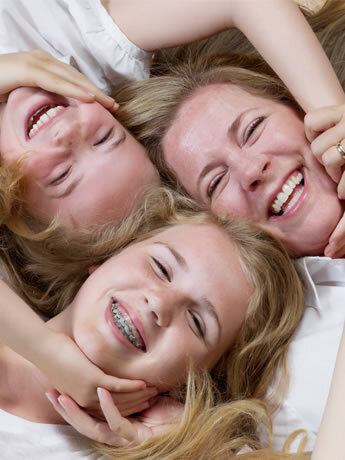 Dr. Loftus treated both of my kids for braces and I cannot begin to tell you how pleased we are! We started 7 years ago with yearly checks. The staff is outstanding. Scheduling is easy/flexible and appointments have always been on time. I was kept informed on the progress every step of the way. This is a great practice that I highly recommend!